These exceptional optical cables feature precision metal ends which provide the strength and rigidity required to maintain accurate optical alignment with TOSLINK transmitters and receivers. 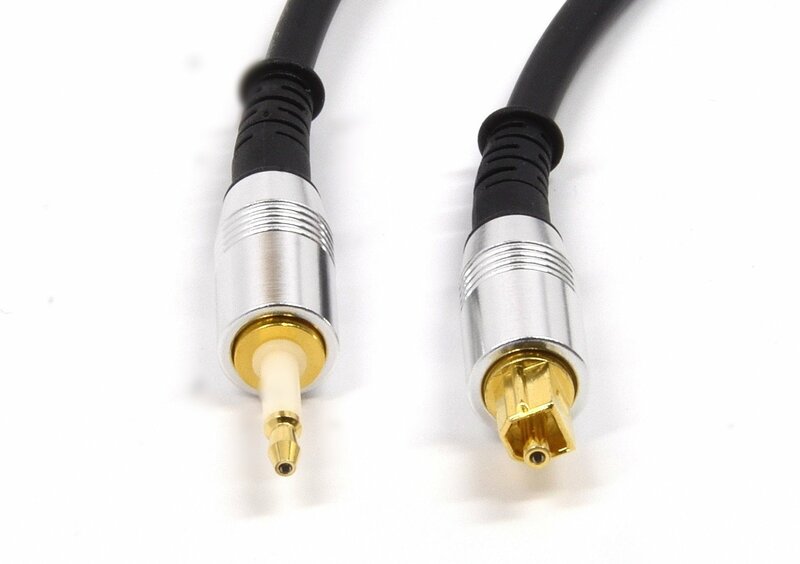 The reliability of any TOSLINK connection is reduced when connectors fail to properly align the fiber with the transmitter and receiver optics. Transmission distance depends on transmitter power and receiver sensitivity, the higher the transmitter power and the lower the receiver sensitivity the longer the transmission distance will be possible. With our low-attenuation cable and an average 4dB budget, it is often possible to make a single run over 26m long.